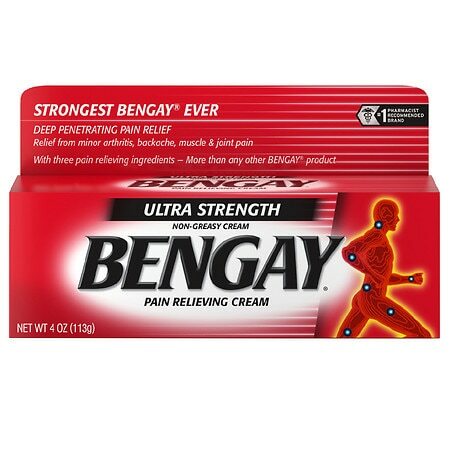 Bengay Greaseless Pain Relieving Cream 2 Oz. Non-greasy cream. Deep penetrating pain relief. Fast relief from minor arthritis backache muscle & joint pain. Number 1 pharmacist recommended brand. 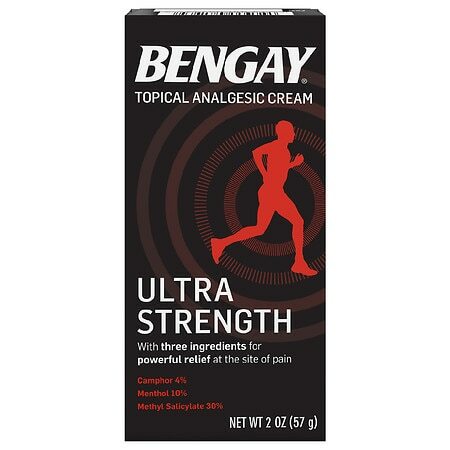 BenGay Pain Relieving Cream, Ultra Strength, Non-Greasy - 2 oz. 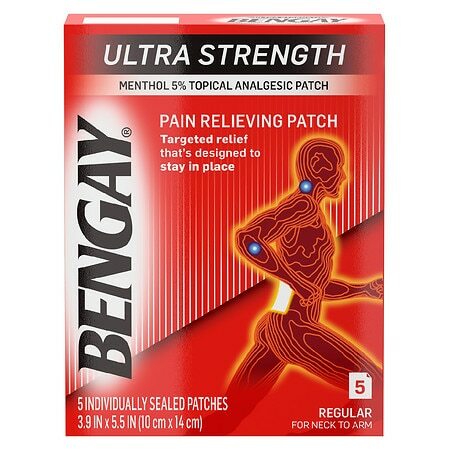 BenGay Pain Relieving Cream, Ultra Strength, Non-Greasy - 4 oz.